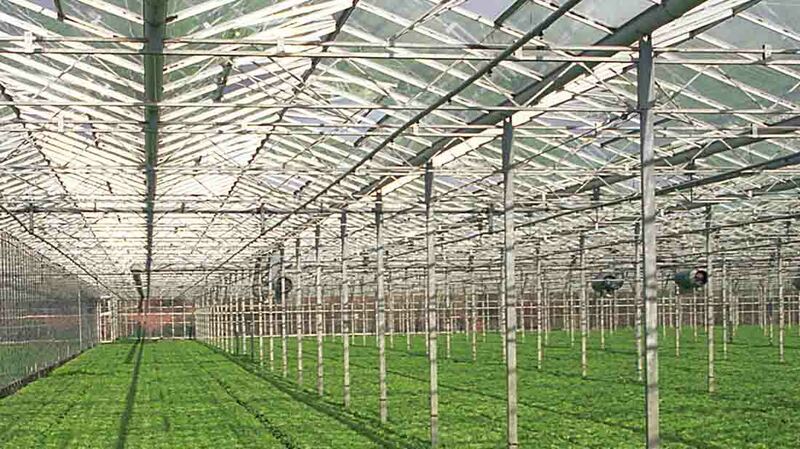 The NFU is welcoming the opening of a major new glasshouse in the Lea Valley. A new major glasshouse is opening today as part of Valley Grown Nurseries 9.7-hectare (24-acre) expansion scheme. After years of uncertainty surrounding planning permission in the Lea Valley, Essex, NFU president Meurig Raymond will be among VIP guests at the unveiling of the new project, prompting a positive response from British growers. The new development will be used for growing tomatoes and sweet peppers. Mr Raymond said currently the UK imports four out of every five tomatoes eaten, showing a fall in self-sufficiency when the public is actively seeking to buy quality British produce. He said: "There is tremendous scope to grow more salad crops to meet public demand, but modern agriculture and horticulture require investment in modern buildings and modern facilities. "That’s why this new development is so welcome. I’m delighted that the NFU supported Valley Grown Nurseries through the planning process and I hope we will see more schemes like this in the future." The development is the largest addition of glasshouses to the Lea Valley since the 1950s. The area itself has about 121 hectares (300 acres) of specialist glasshouses where growers produce 80 million cucumbers, 70 million sweet peppers and other salad crops.